Blog note: This blog entry is a couple of months old. I meant to publish it earlier but I totally forgot about it finishing it. 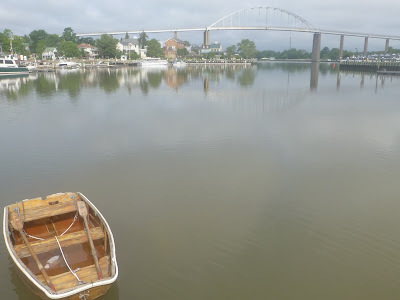 So here it is, now the end of July and I'm ready to blog a few things about Amsterdam, when I noticed I had not published the previous blog on my annual Chesapeake Bay cruise. Also, since I started the blog on an iMac desktop and finished it with an iPad Blogger App, there may be some unusual appearance differences. This year's East Coast cruising adventure was planned to be different. Instead of our decade-long tradition of cruising the Chesapeake Bay, we were headed 700 miles into the Atlantic to the island of Bermuda. As usual, Wes was waiting for me at the Baltimore airport when I arrived. 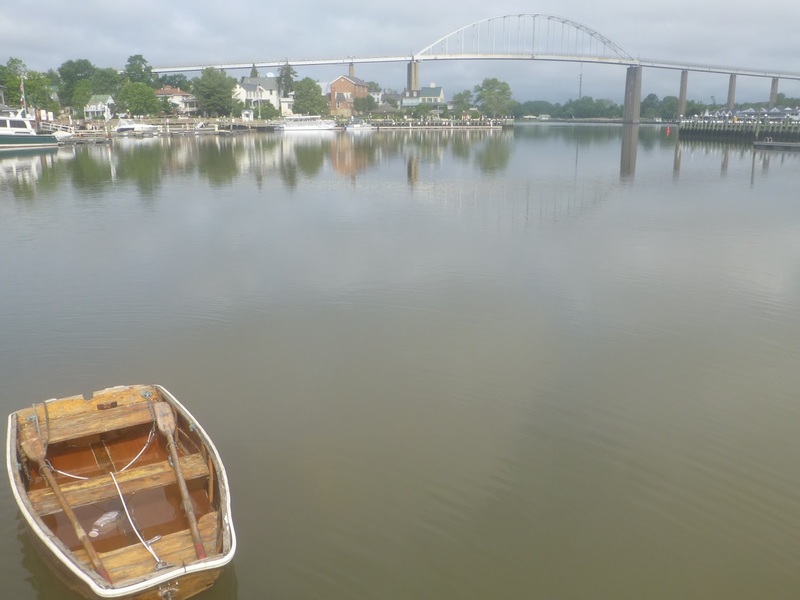 He drove up in his BMW roadster and we were soon on our way to Havre de Grace, where Aero was moored and ready to go. It didn't take us long to get under way. We motored through the channel into the Chesapeake Bay and then into the Elk River, which led to the Delaware canal. 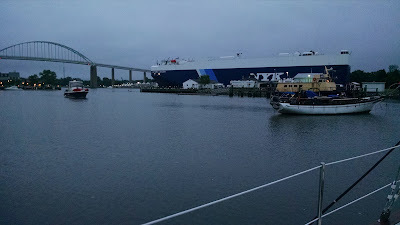 We cruised passed the familiar town of Chesapeake City and then into the Delaware Bay. At 7pm we decided to anchor in about fifteen feet of water for the night. We were far from land, but the water and the wind were calm. We had a glass of wine and then dinner and went to bed relatively early, knowing that we had a long day ahead of us in the morning. 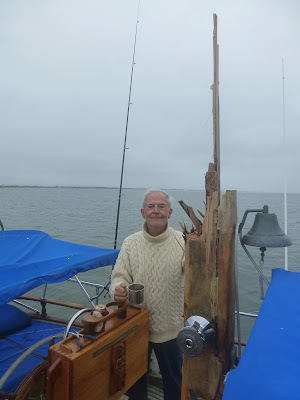 In the morning, after our morning espressos and a bowl of oatmeal, we weighed anchor and headed out the channel. The outward going tide was with us giving us a boost that at times had us doing 8.5 knots. 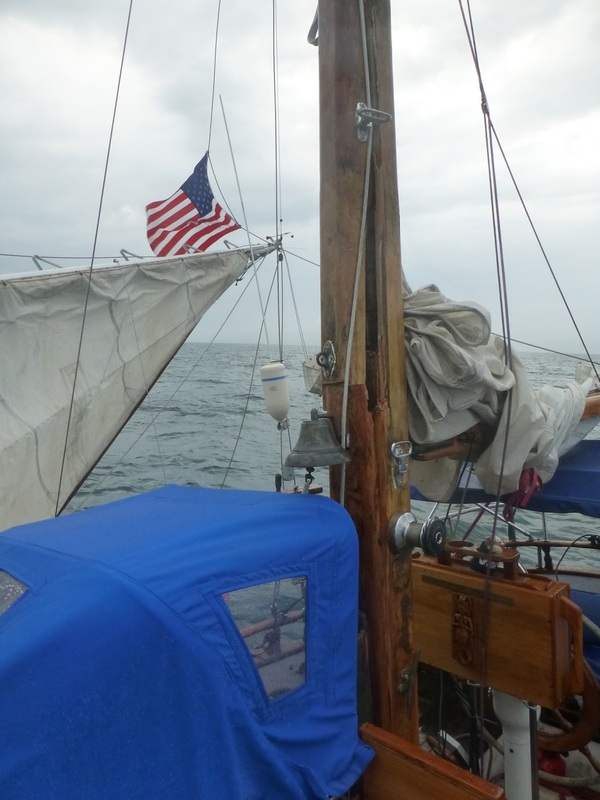 We were soon in the Atlantic Ocean and encountered a little different swell condition with moderate seas and fifteen knots off the bow. We were sailing nicel At times, the bowsprit of Aero would partly bury itself in the oncoming seas. It also began to rain lightly. This routine went on for several hours. Wes and I took turns taking naps, knowing we'd be up at night. It was about 6pm, while Wes was waking up from a nap and I was sitting in the companion way looking forward, when suddenly I saw an odd movement in the mast. It was quickly followed by a crashing thud, as the mast hit the deck and began to topple aft towards the starboard side. I ducked but it wasn't necessary since the top part of the mast fell to port and hung suspended over the water. Wes, still below, was starting to make his way towards the companion way. I yelled down to him "We lost the mast!" Up to this point he had just heard some loud noises down below. 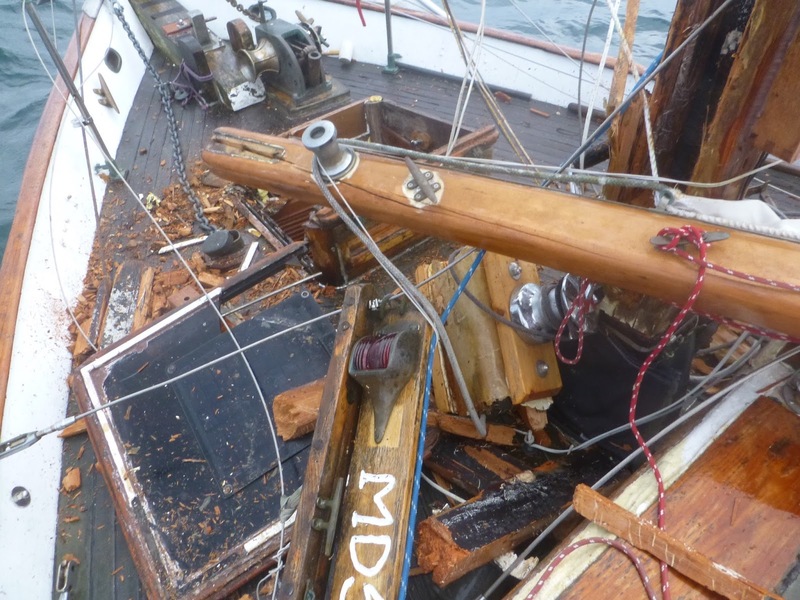 But as he came on deck, he became aware of the damage that had just occurred. 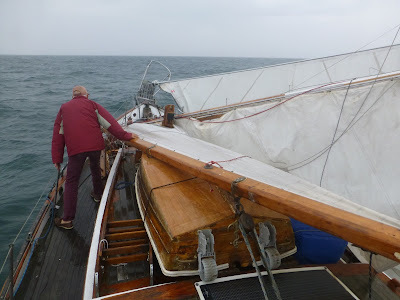 Mizzen starting to crack from the weight of the main pulling against it.er sizing up the situation, we came to the decision that the first thing to do was to cut the main mast loose. 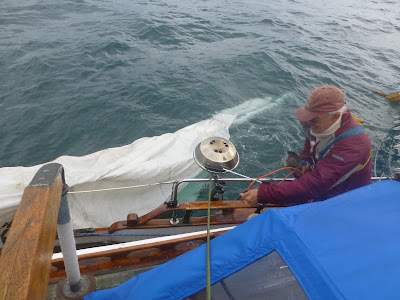 Wes got the grinder out, started the generator and began to cut the headstay and the shrouds, while I worked on cutting the lines. 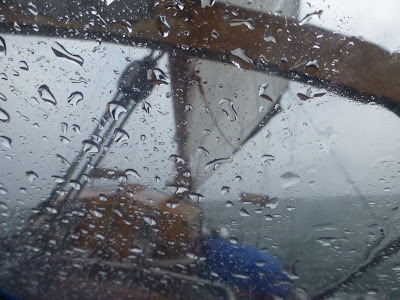 Fortunately, we still had some daylight and the seas weren't very rough. 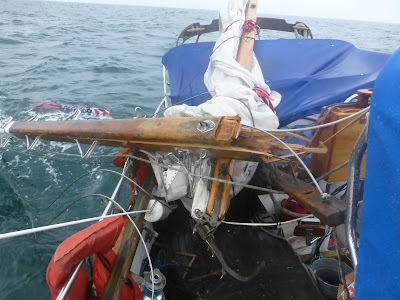 Soon, however, we noticed the mizzen mast being stressed due to the triadic wire fRemains of main mast on fordeck with debris.rom the top of the main mast to the top of the mizzen mast was tugging at it from abeam. The mizzen quickly gave way and fell overboard to starboard. That began yet another round of cutting wires and lines. 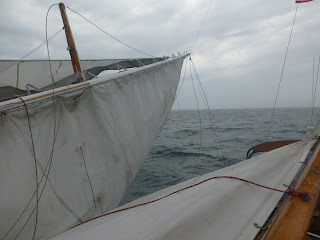 After sizing up the situation, we came to the decision that the the first thing to do was to cut the main mast loose. Wes got his grinder out, started the generator and began to cut the head stay and the shrouds, while I worked on cutting the lines. 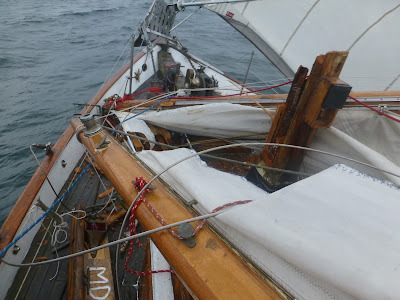 It wasn't easy cutting loose all the wires and lines while trying to stay clear of the dangerous ends of the masts. 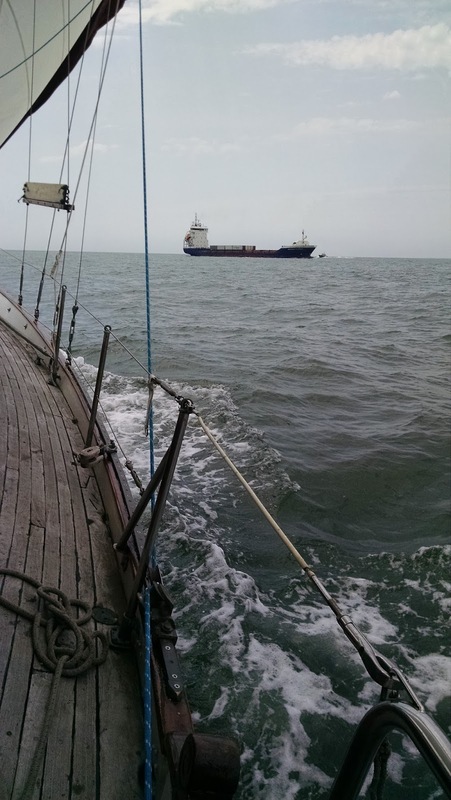 When a swell past, would jerk inwards towards the boat and then would ebb back outwards to the water. 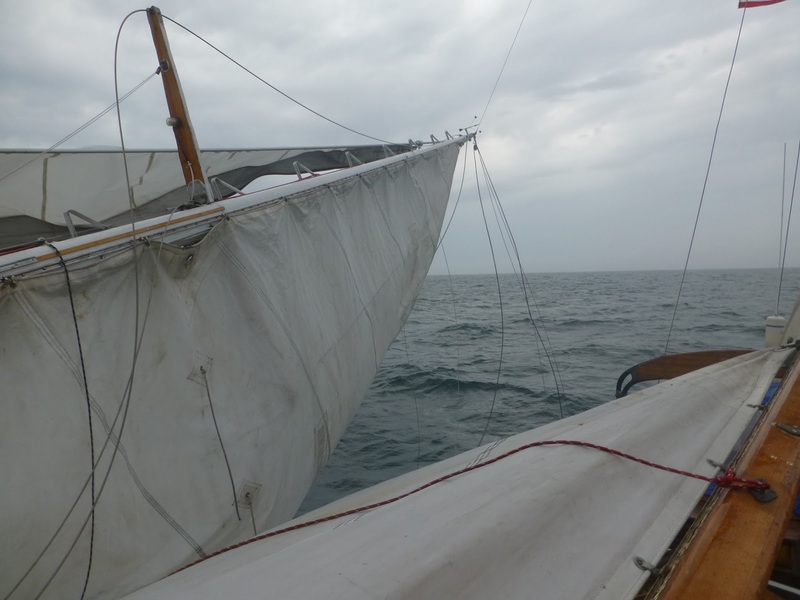 In spite of that, we got everything cut and the masts began to float away to the starboard side, along with sails, rigging and roller furling. It was 7:30pm. We started the motor and pointed the boat back towards Photo below is of Wes and the stub of the mizzen remains.Bay. It took us until 3a.m. to get to the entrance of the bay. We ducked inside and found a safe place to anchor for the night. 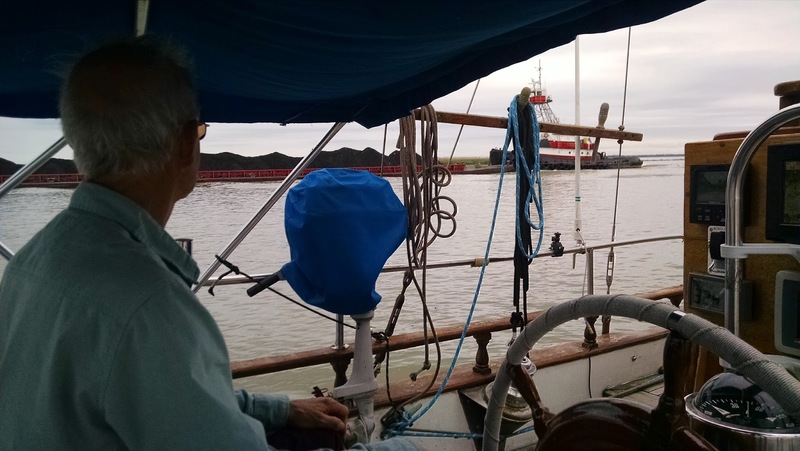 In the morning, we motored in to the narrow channel leading to the town of Lewes but there was no dock space to be found. We went back out to the bay and anchored for the evening. 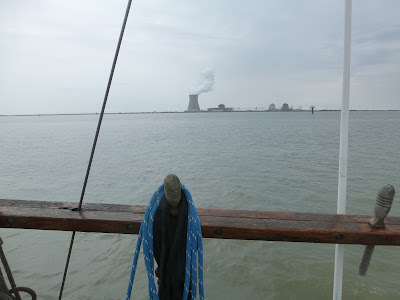 We left the remains of the masts and sails floating in the ocean off the coast of Delaware and headed back under power to the entrance of Delaware Bay. 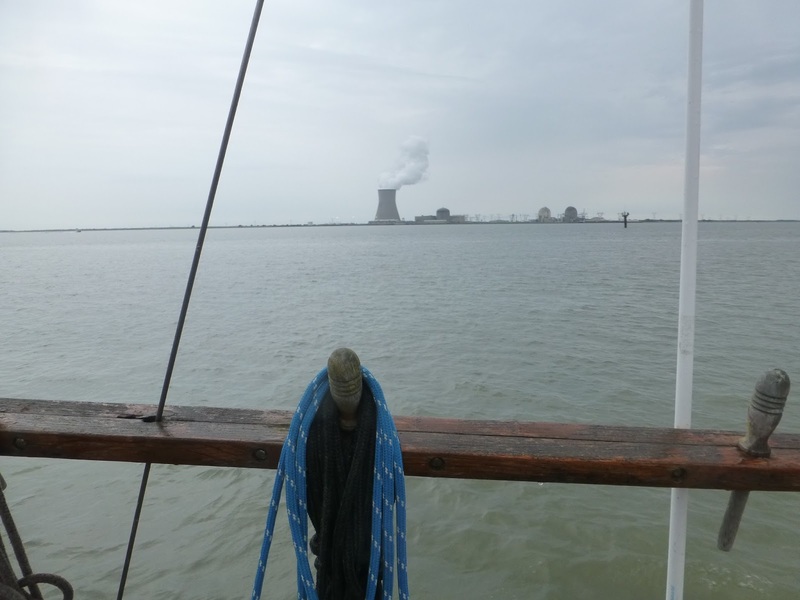 At around 4am we anchored just inside the bay near the town of Lewes. 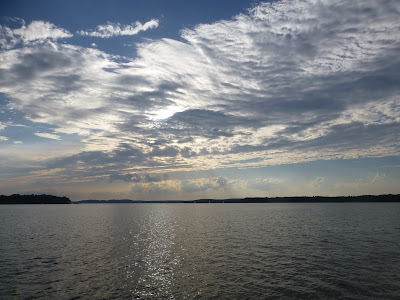 Throughout the next few days we spent the time anchoring at several lovely spots making our way back to Havre de Grace. View of Chesapeake City from the anchorage. One of the older, classic homes in Chesapeake City. A large commercial ship navigating the Delaware canal. 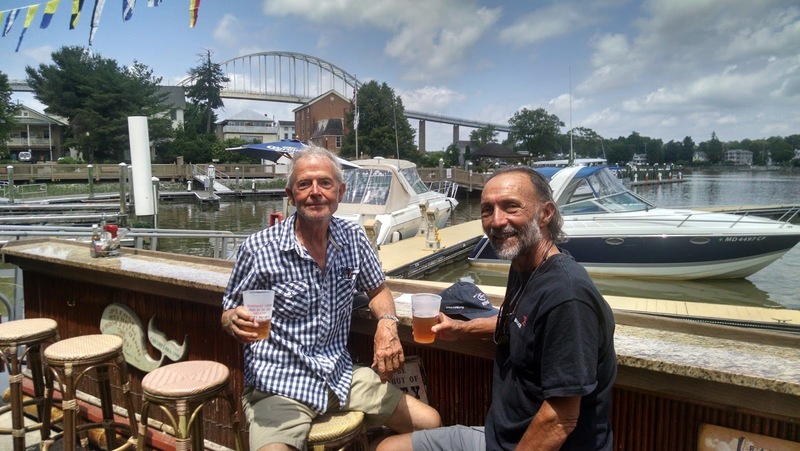 Having a beer in Chesapeake City. 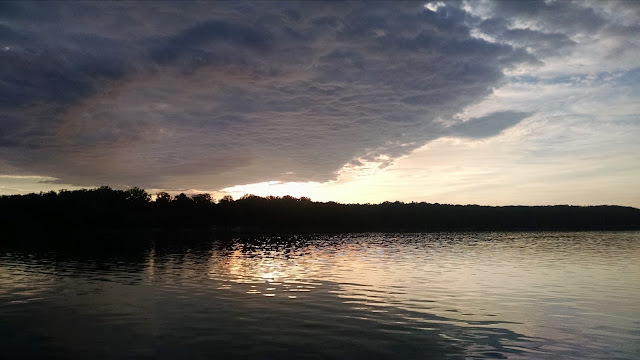 The last night on the boat was spent anchored in the Bohemia River. 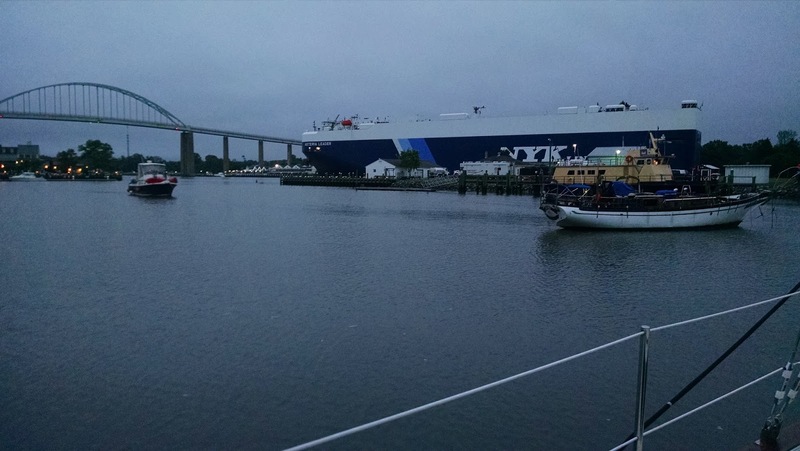 We took it easy in the morning and weighed anchor for Havre de Grace at about 11:00am. It took less than two hours to be tied to the mooring in front of Wes' marina. 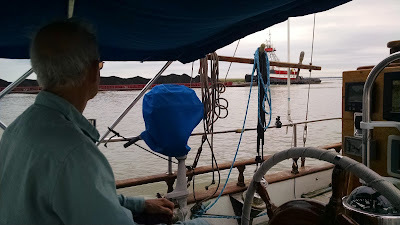 The following day we anchored in the Bohemia River. Sunset at Port Deposit waterfront. 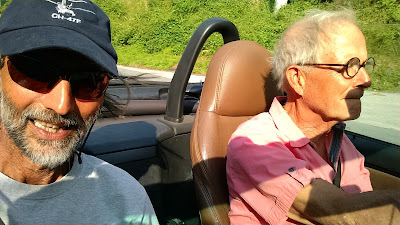 After we left the boat, we drove to Wes' house in Port Deposit. 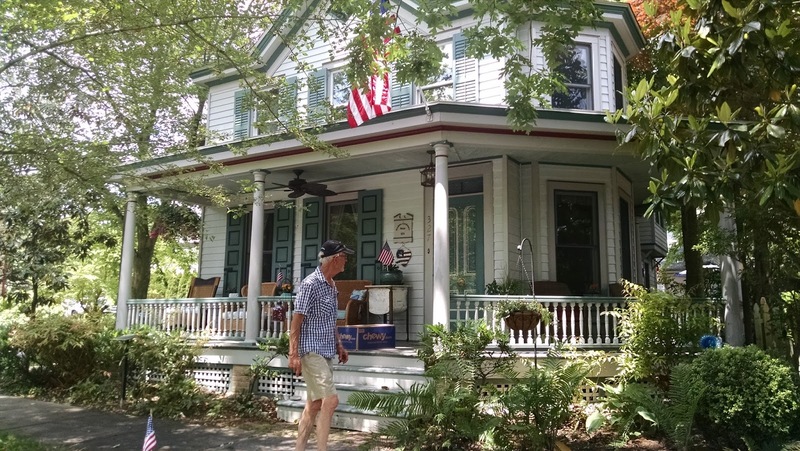 We spent the night there before heading to Linda's house, in Baltimore, the following day. There we took walks in her beautiful neighborhood, went to swim laps at the Meadowbrook Swim Club, attended a blue grass fPhoto above is sunset at Port Deposit boardwalk, while below are some photos after we drove to Baltimore and stayed with Wes' friend Linda. 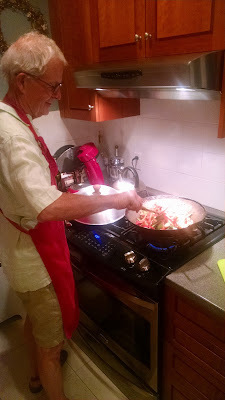 We cooked some great meals, visited a winery and attended a local blue grass festival. All in all, a good ending to a tragic incident that cut short our annual cruise. to the Broody Winery. 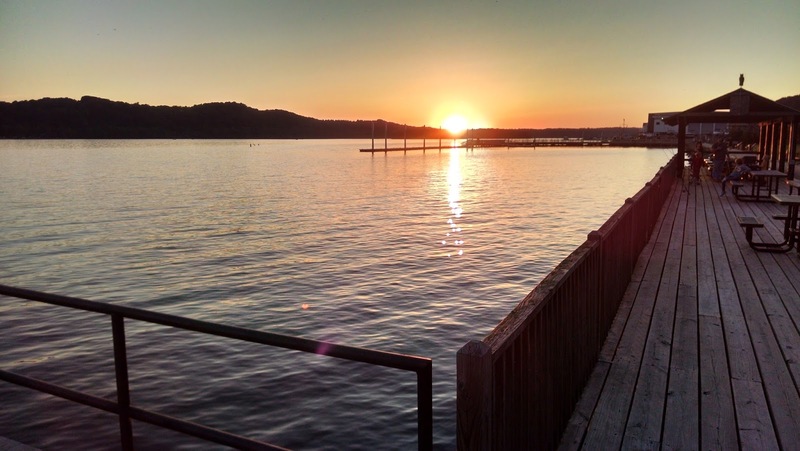 It was the end of another Chesapeake cruise. We didn't mean for it to end so soon. But sometimes life has other plans. As John Lennon said "Life is what happens to you while you're busy making other plans." 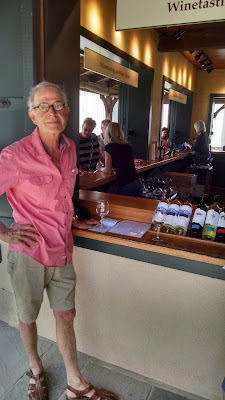 Wine tasting at Boordy's Winery. A dulcimer player at the blue grass festival. The following videos are part of the blue grass festival. The musicians all had come together ad-hoc and played off each other, with the experience that each has some knowledge of the melodies or the chording. 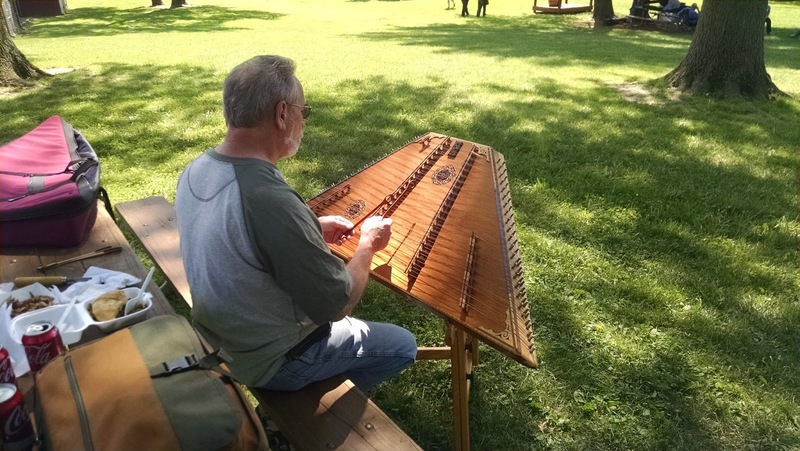 The last video is of a guy playing a dulcimer. It sounded ethereal and out-of-this-world. Quite mesmerizing.